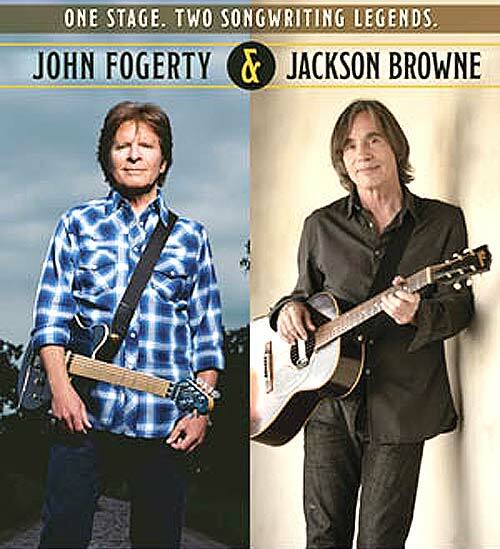 This August, song writing legends John Fogerty and Jackson Browne will co-headline two exclusive east coast concerts. The shows will take place on Aug 4th at PNC in Holmdel, New Jersey and Jones Beach in Wantagh, New York on August 5th. Fogerty and Browne will each perform full sets with their respective bands. The two recently joined up for last year’s Rock and Roll Hall of Fame Inductions where together, along with Tom Petty they helped celebrate the music of Randy Newman. Jackson Browne has written and performed some of the most literate and moving songs in popular music and has defined a genre of songwriting charged with honesty, emotion and personal politics. He was honored with induction into the Rock and Roll Hall of Fame in 2004, and the Songwriter’s Hall of Fame in 2007. Beyond his music, he is known for his advocacy on behalf of the environment, human rights, and arts education. He’s a co-founder of the groups Musicians United for Safe Energy (MUSE), Nukefree.org, and the Success Through the Arts Foundation, which provides education opportunities for students in South Los Angeles.